First American Auto Glass provides quality auto glass services whenever and wherever you need it. We offer the best products to our customers, using high-quality original equipment manufacturer grade auto glass (OEM). When it comes to the importance of your automobile’s glass, we service your vehicle with certified technicians. From windshields and side windows to the rear-view windows, First American Auto Glass ensures that your vehicle’s glass will be inspected for proper installation, at a very competitive cost to you. Because we know your time is valuable, we offer you the peace of mind through free mobile service within a 100 mile radius to the location of your vehicle (home, office, school). We work with all makes and models, and specialize in luxury vehicles. The lowest possible price should not be a primary consideration when having a windshield replaced. First American Auto Glass offers top-quality professional installation with certified technicians that will maintain the structural integrity and other safety features built into your vehicle at the factory. First American Auto Glass is a AGRSS-registered company. The materials we use meet or exceed ANSI Z 26.1 and all pertinent Federal Motor Vehicle Safety Standards. A cracked or improperly installed windshield is dangerous. Putting your safety at risk to save a few bucks is not worth it. 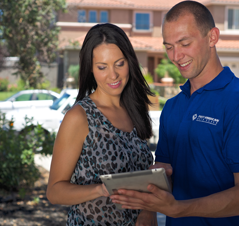 Regardless of who does the work, asking the right questions can greatly increase your odds of obtaining a professional installation. At First American Auto Glass, helping customers with insurance claims is part of our commitment to making safe windshield replacement as convenient as possible. With over 10 years of experience handling the auto glass insurance claims process, the company has a foundation of long-standing relationships with most insurance providers. This means that you can expect knowledgeable, professional glass claim service along with specialized auto glass service every time you contact us. First American Auto Glass is committed to quality workmanship and we strive to ensure that you are completely satisfied with your newly repaired or replaced auto glass. All repair and replacement services we perform come with a lifetime warranty that is good for as long as you own or lease the vehicle we serviced. Our lifetime warranty covers: air and water leaks, molding retention, rock/chip repair or any other issues around the glass. We will also cover any manufacturer defects associated with the repaired or replaced auto glass.